Epic photo of Owen Dalby playing Look Around You with Albany Symphony. 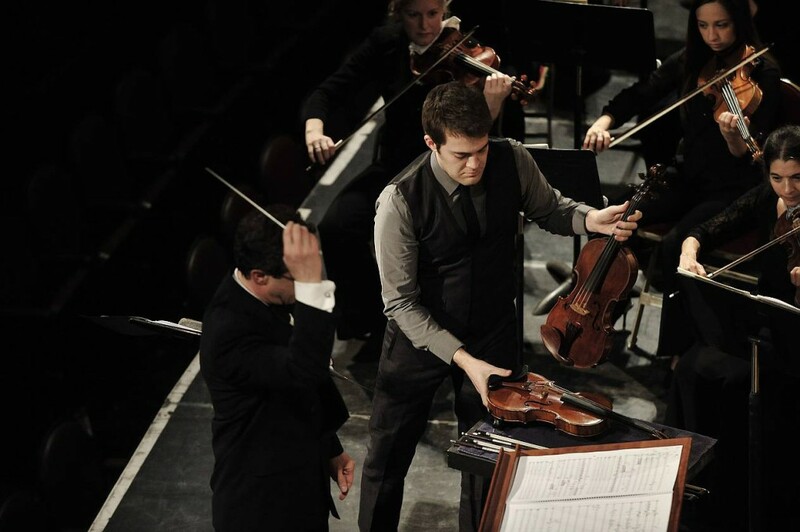 Seen here switch­ing from viola to violin (in the space of one and a half bars). There are more photos from the show over at the Symphony’s Flickr page. I hope to post an audio excerpt of the piece soon; in the meantime, you can hear the première of Crashing Through Fences with Ian Rosen­baum and Mindy Heinsohn playing glock­en­spiel, piccolo, and kick­drums. Over here now.